Power companies have argued that the circular would push even those power assets that were close to achieving loan restructuring into insolvency. New Delhi: Private Power producers have pleaded with the Supreme Court that the February 12 circular of the RBI will further accentuate the already existing grave problems afflicting the health of the sector while challenging the validity of the central bank’s order. Several power companies, Association of Power Producers (APP), Independent Power Producers Association of India (IIPAI) had challenged the validity of the Reserve Bank of India’s February circular in various high courts seeking a stay on insolvency proceedings. In their arguments while challenging the circular, the APP said: “Ministry of Power’s admission that Non-payment of dues (Rs 40,846 crores) and delay in recovery of amounts from Discoms, majority of which are government-owned impairs the ability of Independent Power Producers (IPPs) to service debt in timely manner. 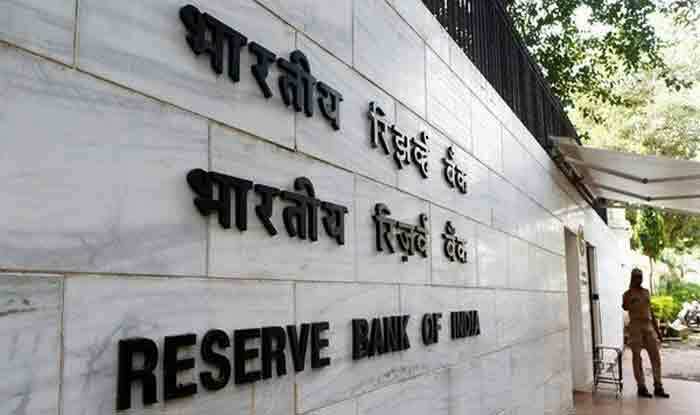 The APP states this to force its stand against the RBI circular that mandates a strict 180-day timeline over which the banks are required to unanimously agree on the resolution plan, failing which the stressed account would have to be referred to for resolution under the Insolvency and Bankruptcy Code (IBC). Under the RBI framework, if a borrower defaults on repayment of interest with any one of the banks, all lenders are required to put together a resolution plan. The APP in its petition is making a case as to why power producers fail to meet the loan repayment timeline and how the RBI circular would further push them into bankruptcy rather than help them repay the loans to the banks. But RBI has said 180 days is a reasonable period for achieving implementation of Resolution plan. The spokesperson of APP stated that if these dues are liquidated, not only will it enable power companies to service their debt on time but also enable smooth and efficient operation. The 40th Production Sharing Contract (PSC) Report notes that there is a time lag of 12-18 months between escalation in the prices of coal and subsequent revision of tariff leading to delayed recovery and adjustment of tariff. The APP is reasoning with the RBI why it is not possible for the power companies to adhere to the central bank’s circular. The power companies have argued that there are many features in the RBI circular which hinder any resolutions to be approved/implemented. These features are — threshold of “all” (100 per cent) lenders to approve, approval and implementation of Resolution Plan within 180 days of first default and removal of all earlier circulars and mechanisms for debt resolution. The petitioner also said that mandatory reference to NCLT after 180 days from first default and absence of any sector-specific stresses and governmental role in resolving the stresses make it difficult to reach any solutions. The RBI has responded to all these arguments in its submission. The APP submitted there are multiple committees including HLEC, set up by the government to study the specific stresses of Power sector, most of these committees’ recommendations are yet to be implemented which could ledd the Power Companies to come out of their stresses. The position of the RBI here is that the circular is Generic and Sector Agnostic. And the 180 days window is provided only to find a financial resolution plan for the stress faced by the borrowers and not for resolution of sectoral issues. Further, the Spokesperson added “there is a distinct Preferential treatment to Public Sector Unit (PSU) power generating companies. A two-judge apex court bench of Justice Rohinton Fali Nariman and Justice Vineet Saran is hearing a bunch of petitions moved by power, sugar, and shipping companies challenging the RBI circular. On February 12, 2018, the RBI had asked banks and other lenders to either execute a resolution plan for big stressed accounts or file insolvency petitions against them in the National Company Law Tribunal (NCLT). Essar Power, GMR Energy, KSK Energy, and Rattan India Power, as well as the APP and IPPAI, had in August moved the top court after the Allahabad High Court had rejected their plea. The Power Ministry is also against the February circular, and sought some relaxation in norms, especially with respect to the one-day default rule, attributing the stress in the sector to delayed payments by electricity distribution companies of India (Discoms), lack of power purchase agreements and irregular coal supply.